The apple category has been challenging this fall – volume and dollars are down across the US. But, if you look closely enough, there are always areas of growth and opportunity. This month we are leaning in on Honeycrisp apples. Crop to date, Honeycrisp are down over 9M lbs. and $19 M in sales vs. last year. The deeper we dig, the more clearly we can start to see the “bright spots” in the market. Individual regions like Houston, Philadelphia and Las Vegas, are driving increases. New package sizes are increasing in demand and creating an opportunity to move small size fruit at a premium retail price. Our Category Management Team can work with you to identify and leverage these “bright spots” in your category. Call us today for more information. Chelan Fresh is proud to represent the growers of Chelan, Douglas and Okanogan counties in Washington State. Check in with our blog – To the Core – to find out what’s happening in the orchards that produce some of Washington’s Finest Mountain Grown Fruit. We have a special interview for you this month with organic grower, John Bostock, of Bostock New Zealand. John is the largest producer of organic apples in New Zealand and partners with Chelan Fresh. We are thrilled that we were able to catch up with him during his trip to Chelan. Visit our blog post to read more. 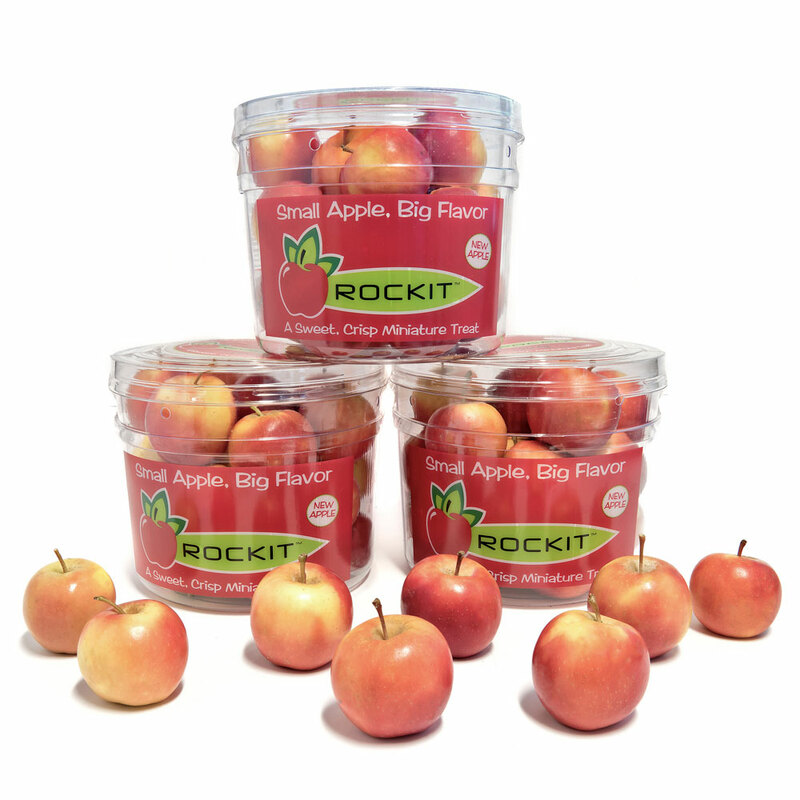 The Rockit® is the Small apple with the Big Apple taste! Rockit® harvest is complete, the apples are ready to be packed and land on retail shelves for consumers. Rockits® are available in the convenience of a 3 count, 4 count and 5 count tube that make healthy snacking on-the-go a breeze. Ask for our Table Top Rockit® Merchandiser to display your Rockit® tubes up off the floor or our full height Rockit® Launcher gives you options for a stand up floor display in the produce department. The new Rockit® Shuttle Pack is the perfect way to super size your family snacking. This package is a volume-filled 3 pounds of perfect size snacking. There are 6 – 3 pound Shuttle Packs in a display ready carton. Chelan Fresh sales reps are ready to take your Rockit® order and put our most talked about apple in front of your customers. Harvest is a special time of year for farmers. Fruit has being picked off the trees, put into bins and is stored in the warehouse for packing. Farmers look back and realize all the hours of hard work and preparation result in another bountiful harvest. This year the orchards had ample snowfall to protect them from the cold winter and sunny spring days encouraged bees to get out and perform their pollination dance. Warm summer days in Washington state and a perfect fall of cooler nights gave our apples and pears their beautiful color and crunchy, crisp texture. From South Central Washington to North Central Washington our orchards were well prepared for a perfect harvest. 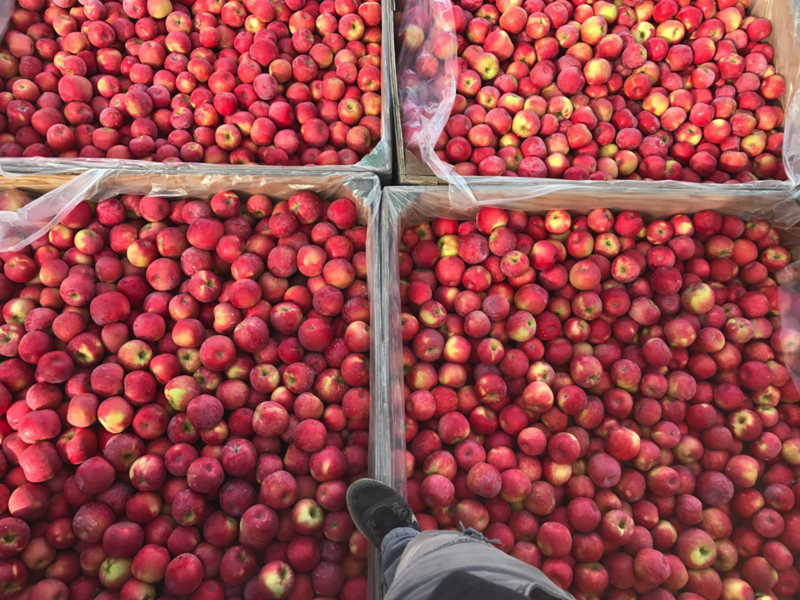 Our Washington grown Honeycrisp, Fuji, Gala, Red Delicious, Golden Delicious and Granny Smith apples are some of the best quality you will find in the industry. Our specialty varieties such as SugarBee®, KORU® Apple, and Rockit® are quickly becoming consumer favorites that help retailers stand out in the crowd with new fresh fruit offerings. Cascade Crest Organics label represents the longstanding quality of our organic program. Chelan Fresh is committed to growing and producing high quality organic fruit and continuing to increase volume year over year. Contact your Chelan Fresh sales rep today and ask about our high quality organic and conventional fruit programs.